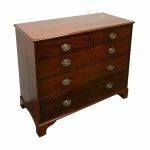 Circa 1750, George II oak chest of drawers in quarter-cut, figured oak. 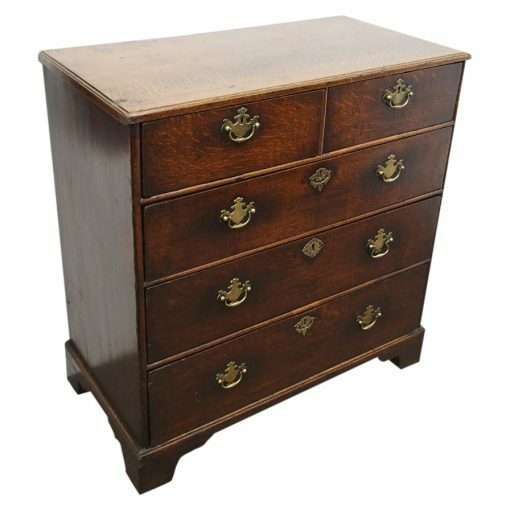 The rectangular top with moulded fore-edges over two short and three long graduated, oak-lined drawers with original brass handles and escutcheons. Al standing on a moulded base and later shaped bracket feet. 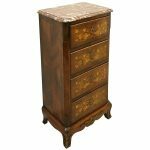 95 cm high x 91 cm wide x 47 cm deep.